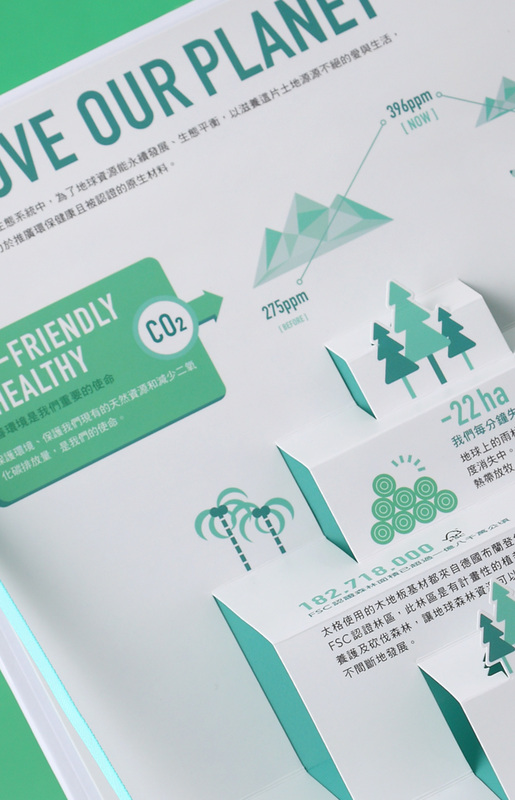 Semi Floor is the Taiwanese agency for Kronotex laminate floors from Germany. 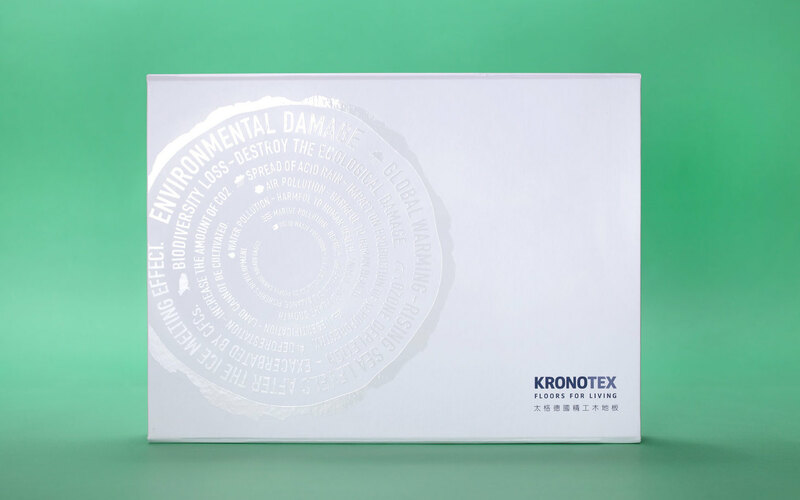 To address environmental protection issues, Kronotex has been aiming to reach a higher standard than required by the EU regulations, and we help them enhance their products’value by designing a special panel box. 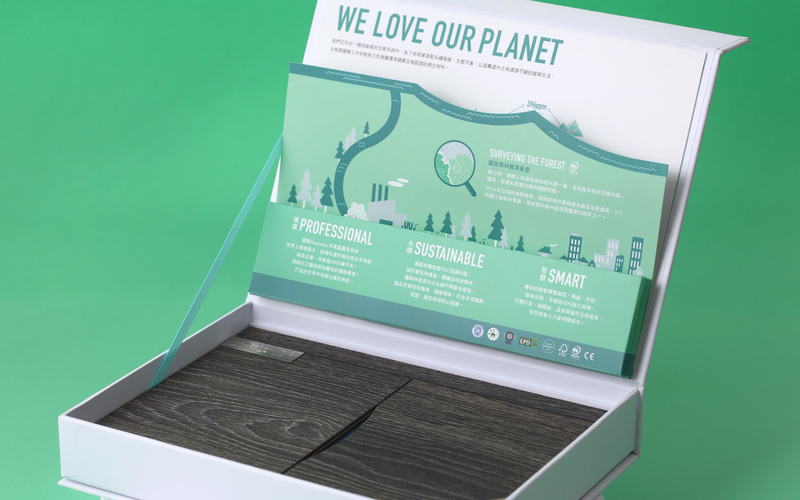 We use the image of tree rings to represent the top ten global environmental issues and remind people to choose environment-friendly materials. 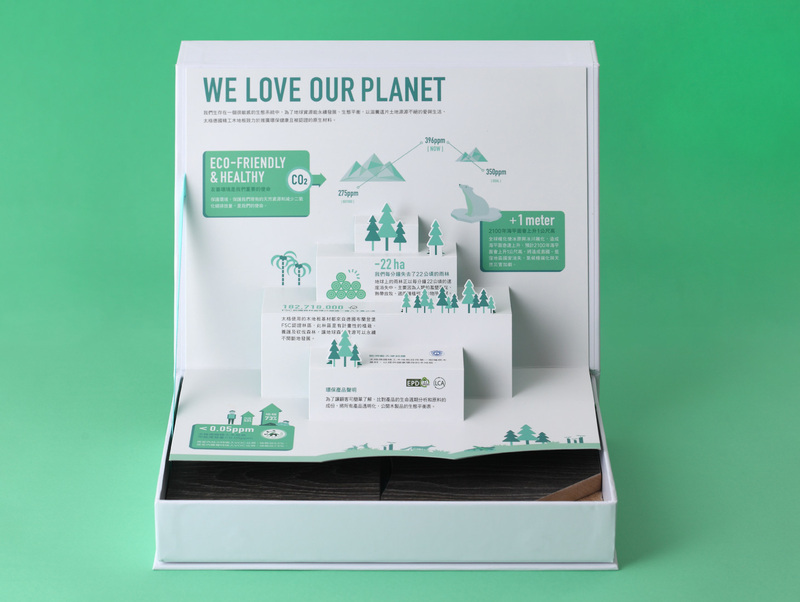 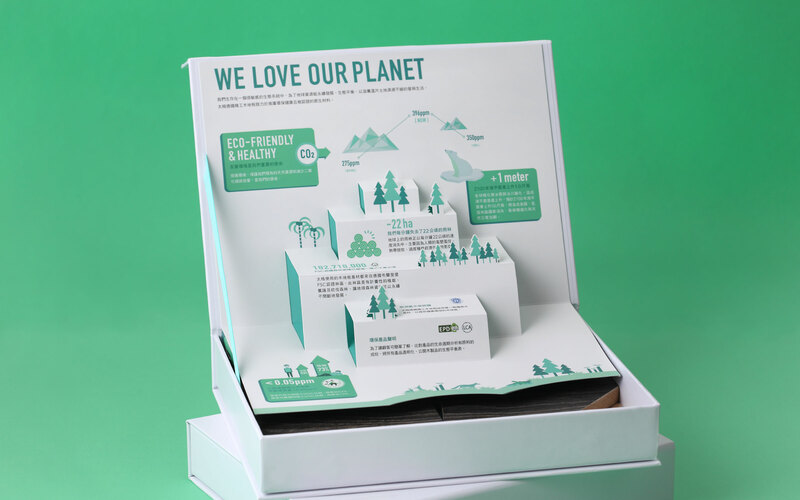 A fun and easily understandable pop up card is placed in the box, which plays the sound of bird chirping and water flowing in the forest as soon as the box is opened, to deliver a holistic sensational packaging experience.